I love finding fun, new children's books--especially when the book offers "hidden" teaching opportunities and support a valued cause. 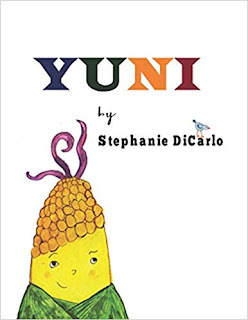 Today, I have Yuni by Stephanie DiCarlo in our book review spot! Learn about Yuni, read my thoughts and take a few minutes to learn about Books for Jane at the end of this post! Yuni is the tale of a brave and curious ear of corn who stalks off the farm in search of a mythical horned beast that shares her name. With lively rhymes and playful language, this ballad invites readers to join in a fun and light-hearted adventure. All proceeds from the sale of Yuni are being donated directly toward medical expenses for the author's two-year-old niece, Jane, who is bravely battling leukemia. To learn more about this project and see other titles that will benefit Jane, please visit www.booksforjane.com. I received a complimentary copy of this book from the author or publisher for use in this review. All opinions and thoughts are my own. Also, we may earn slight commissions from affiliate links within our posts should you opt to purchase the book via our links. Yuni Combines a Fun Children's Adventure--with Learning Opportunities. The story is a simple one with cute illustrations that young readers will happily enjoy. I enjoyed the fact that the author made great use of word play on nearly every page that offered perfect opportunities for parents and caregivers to introduce words that sound or look the same--but, have very different meanings. Would I recommend Yuni by Stephani DiCarlo? Yuni is an adorable little children's book for readers to read as-is--but, it also offers a great educational opportunity to introduce little readers to some of the more complex "issues" of our English language. 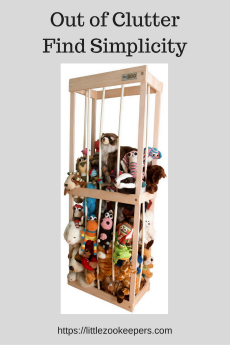 I recommend this to anyone with preschool or young elementary aged readers who would like to introduce the concept of puns, homonyms, homophones, heteronyms, and homographs in a basic, fun way. 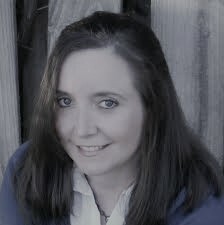 Stephanie DiCarlo has taught literature, poetry, journalism, and writing for over a decade. She maintains a folder of partially-completed short stories and a collection of napkins and receipts overwritten with clever poems. She is also an avid punster and relishes in the quirks and subtleties of language. Yuni is her first book. After Jane's leukemia diagnosis in December, 2018, her whole family was determined to do everything possible to make her (and her Mama, Dada, and brother Charlie) feel loved and supported during her treatments. Jane is a strong and brave fighter working hard to get better, and we are hoping to give her a boost along the way. Jane's Auntie Hannah and cousin Miles collaborated to create There's A Mouse in My New House, a nod to Jane's curiosity and courage. Jane's Auntie Steph, at the suggestion of her cousin Lydia, wrote and illustrated Yuni, a corny picture book that confronts the mythical horse-beast genre head-on. All profits from print and digital sales of Yuni and There's A Mouse in My New House will go directly to Jane to help defray her medical expenses. Learn more about Books for Jane here.